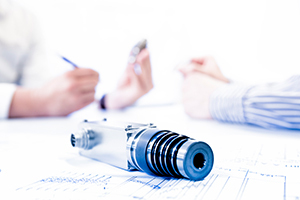 Digital hydraulics as an innovation engine for modern hydraulic drive solutions. With this concept LCM was nominated for this year’s Technology Award of the Hannover Messe Industrie (HMI), the Hermes Award. So to speak, the Oscar among the international engineering prizes. The selection of the winner of the 5 nominees and the award ceremony will take place during the official opening ceremony of the HMI on April 22nd.